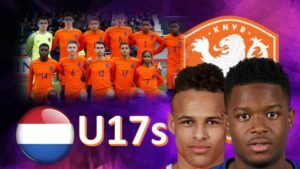 Who are the future Dutch national team stars? Football-Oranje gives you our top five Dutch Under 17s to watch at the Under 17 Euros that takes place in England next month. Come on Oranje! Watch the video linked here or click the video below. Make sure to like and subscribe to Football-Oranje on YouTube for much more Dutch football content!